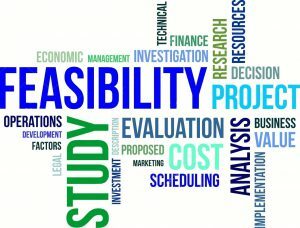 A feasibility study report normally represents the primary deliverable after weeks or months of preparatory research and due diligence. When evaluating potential firms that conduct feasibility or fundraising planning studies, always ask for an actual sample hard copy report. What should you look for? As with any report relying on data, first look past logos or formatting and “drill down” to the facts. How many donors or supporters or leaders contributed to the feasibility study report? What contact or solicitation method obtained opinions? If interviewed together, did married couples constitute two separate interviews for statistical purposes? (We do not.). Were interviewees rushed through perfunctory 15 minute sessions in little more than a “fill out the form” exercise? Our process that generates feasibility study reports will include the widest possible input from stakeholders. The Feasibility Reports provide respectful, personal face-to-face interviews (not mass emailing or fill in bubble surveys). Our approach invests significant time to learn about your unique history and donors, including subtle but vital details, such as the capital campaign name, often ignored by other firms rushing to print a bottom line number and dress it up with graphs and charts. We believe a Feasibility Study Report is worth the investment when it produces clear recommendations, supported by hard data developed by trustworthy people using a trusted process. Please contact us to receive a recent Carlton & Company feasibility study report. Read and understand the contents, and therefore, please put it side by side with other reports that may look or sound the same, but may deliver far less substance for your Leadership to trust in moving forward with your next Major Campaign.